As the only very light jet on the market, the Eclipse 550 has good performance for a business jet aircraft. The Eclipse 550's best area of performance is it's fuel consumption. The Eclipse 550 has the lowest fuel consumption of any business / private jet available on the market. It burns 48-59 gallons per hour, depending on flight conditions. Below is the information the Eclipse 550's performance. Eclipse 550 Takeoff Distance: 2,345 Feet, 715 Meters (to 50 ft sea level, ISA to 50 ft (15 M) at maximum gross takeoff weight (MGTOW)). Eclipse 550 Landing distance: 2,250 feet or 686 Meters (sea level, ISA at 4,600 pounds (2,087 Kilograms) for landing weight). Eclipse 550s equipped with anti-skid brakes, allow the jet to stop at 700 feet. Takeoff distance: 3,881 feet 1,183 Meters at 5,000 feet with ISA +15˚C. Single engine takeoff climb 705 feet per minute or 125 meters per Minute at 5,000 feet at ISA + 15˚C. 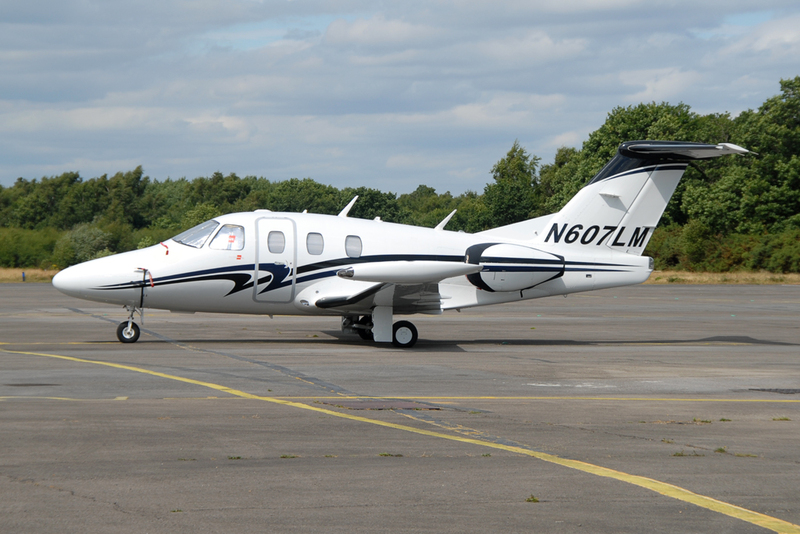 Range of the Eclipse 550 very light jet is 1,125 Nautical Miles or 1,300 Nautical Miles. For information on the range of the jet, visit the Eclipse 550 range page. Above Eclipse 550 photo (actually an Eclipse 500) by Robert Underwood on Flickr. Photo (only) released under a Creative Commons License.